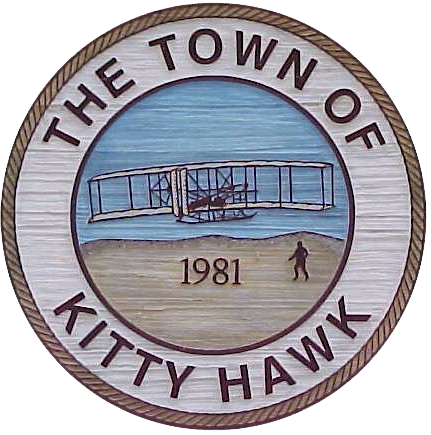 The Town of Kitty Hawk is located on the Outer Banks of North Carolina, approximately 50 miles south of the Virginia border. Click here to get driving directions from your specific location. Coming from the western parts of North Carolina, please take Highway 64 to Williamston and then either Highway 64 to Manteo and enter Kitty Hawk from the south or take Highway 17 through Elizabeth City and Currituck County to Highway 158 and enter Kitty Hawk from the north. Coming from Virginia and parts north, take Highway 168 south from Chesapeake. It merges with Highway 158 in Currituck County and enters Kitty Hawk.